The plan, contigent on a federal grant, would give deputies the ability to search for distracted drivers from a higher vantage point. System captures collisions and identifies operating risks and compliance issues. When an issue occurs, event video is immediately offloaded and management is notified within minutes of an incident. The incident was caught on cell phone video by a passenger who didn’t want to be identified out of fear of retaliation. The passenger said they shot the video out of concern for other passenger’s safety. 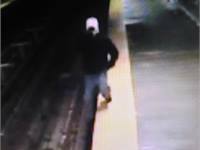 Over the past year, SEPTA officials have responded to a few track fall incidents each month. Surveillance cameras often show people — some talking or texting on their phones or otherwise distracted — walking past the yellow warning strip and landing into the track area. To decrease these incidents, SEPTA is making distracted commuting the focus of its second annual “Make the Safe Choice” Safety Day. Improving operational safety in rail transit made the list for the first time. The list also includes making improvements to occupant protection and fire safety, doing more to prevent distracted and impaired driving.